Michelle Kuhl is a litigation associate with a practice focusing on appeals. 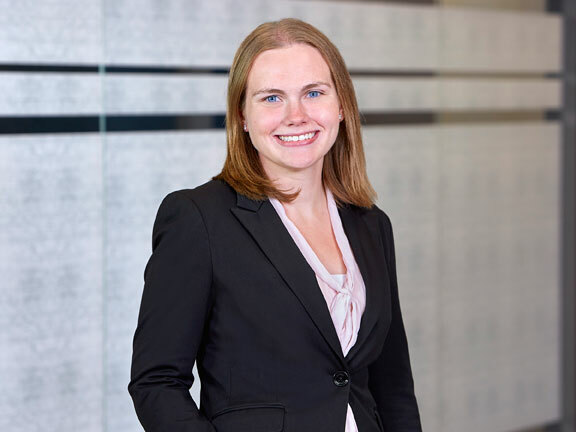 Before joining Lommen Abdo, Michelle clerked at the Minnesota Supreme Court where she worked closely with the justices on a variety of criminal, civil, and administrative matters, and gained valuable insight into the process by which appellate courts decide cases. Her clerking experience provides an excellent foundation for an appellate practice. Michelle will also assist in handling a variety of other litigation matters, including professional liability, commercial litigation, insurance defense and subrogration. During law school, Michelle worked as an extern at the U.S. District Court and as a student attorney in an appellate clinic. She also served as articles editor of the University of Michigan Journal of Law Reform.